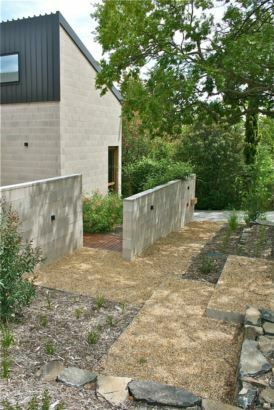 Other than the large Elm, the sloping front yard was a blank canvas surrounding this new contemporary home designed by Cox Architecture (winner of Malcolm Moir & Heather Sutherland award for residential architecture – ACT 2016). 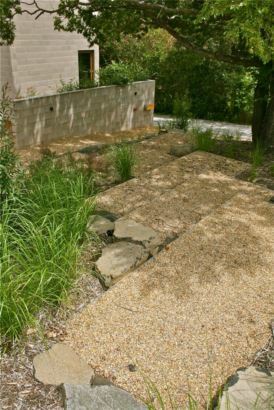 A simple palette of materials was selected fro this sharp contemporary design. 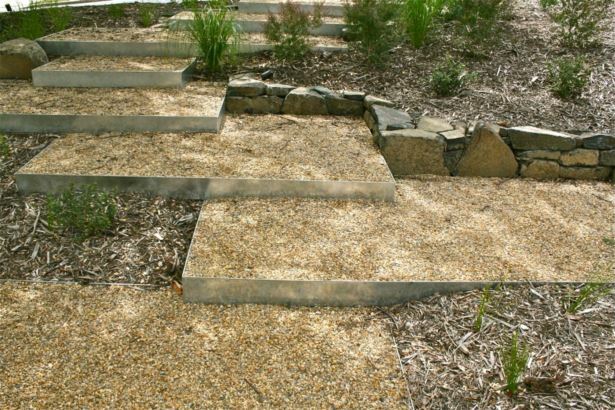 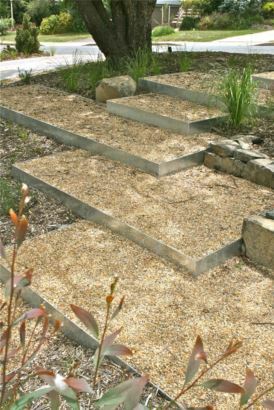 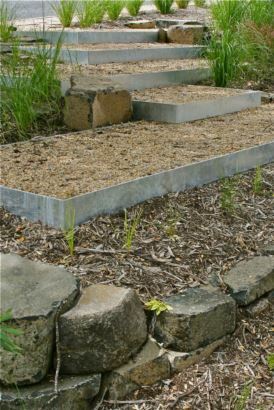 Galvanised step terraces, backfilled with gravel, were used to create a path system & extensive native plantings add colour & texture. 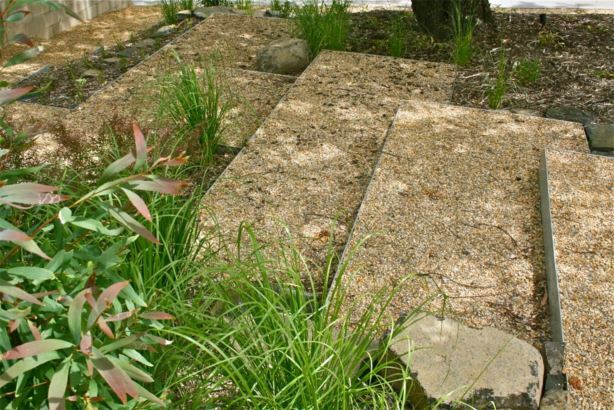 ABC Landscapes were the main contractor, with the steelwork provided by Still Standing Sheetmetal.